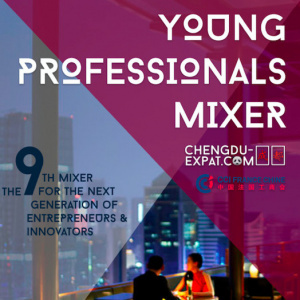 Volume 9 of the Young Professional Mixers will take place at The Ritz-Carlton Chengdu's beautiful bar, FLAIR this December. Grow your network, find like minded people and enjoy an evening of drinks and activities downtown Chengdu - the perfect way to kick start your weekend. The network was founded a year and a half ago, in order to give motivated young people in the city an affordable platform to meet, that wasn't as formal as traditional chamber events and could be a place to meet future partners and innovators. The network now contains roughly 500 people. Tickets include snacks + 2 selected drinks. Please note tickets are not exchangeable or refundable. Business Casual Your full name + email address are enough to receive your ticket at the venue reception. We look forward to seeing you there. Add WeChat ID: Chengdu-Expat2 to be added to the group before the event.